Often, when we think about the past, we do so in our imaginations, using the pictures and impressions we have picked from our shared visual culture, we mix the real things we find into a fantasy world. Envisioning the environment in terms of its familiar topography and plants does not present much of a problem, domestic animals are bits hazier, but most of the things that made up the fabric of life just don’t survive here in our damp climate. However, even trees in the picture may not be clear, the focus of archaeology is on tools, seldom extending to a consideration of the materials and products that gave them utility and value. How to discuss, visualise and define things that no longer exists except in the imagination is one central issues of presenting archaeology. TSA uses “theoretical models” to express the ideas about buildings and structures deduced from the archaeology of their foundations; these are clearly still diagrams and not pictures. Those that tend toward pictorial representation tend to contain deliberate anachronisms; I wish to restrict the amount of information being exchanged, , express doubt, and subvert a believable reality to encourage understanding rather than belief. TSA is an ongoing process of reverse engineering; there are other ways of approaching the roof SE end of Neolithic longhouses, which I would not want to prejudice without better data. This is part of doing and presenting the maths; with a model progress can be measured, rated, its fit examined and improved. The same is true for the underlying components, the trees and timber, both have been well studied and can be modelled mathematically, . The scale of some ancient trees, in terms of how tall they might get, is an interesting problem in the detailed modelling structures, which I may return to in a later post. I have the same data as everybody else, but have found new ways of processing and thinking about it; invariably, progress comes from breaking down existing ideas and images, particularly the latter, since often, they are not helpful and certainly are not real. New understandings of existing material are about breaking down one’s own ideas and preconceptions; getting people to change their own is a different matter. There is an inherent conflict between the need to truthfully recreate from what was actually found, and the requirement, expectation, aspiration, or market for presenting a ‘believable reality’ to archaeology’s wider audience; more especially given the technology at our disposal. While I am deeply suspicious of pictures of the past and their effect, I also think it important to find new ways of thinking about, and, yes, imagining the past. These pictures of the past are what people appear to want, and might be seen as an end-product; an answer to the question - what was it like? The hard truth is that archaeology very rarely has much to do with the routine fabric of life, surprisingly little of our culture ever involved digging holes in the ground. Another recurrent theme is the use of other contemporary or recently documented historical cultures to fill the void in the archaeology of material culture, most notably in architecture. Nobody has seen an Iron Age building, yet we all have a picture of one in our mind; these images of the past, just like a religious painting, can tell us more about contemporary culture than it does about the imaginary object being depicted. There is also a point where the perceived need to remove cultural bias from our language, is at variance with the need to fully define a local tradition or technology. At some level, which it is difficult to define, the use of terms like longhouse, roundhouse, as well as words like henge or circle, implies some relationship where none can exist, except in the most superficial descriptive sense. Ethnographic parallels; so let’s nail this one from the start; when thinking about prehistoric material in NW Europe, it is not only that the big things like environment, particularly climate, and culture that is entirely different from areas like Africa, it is also down to the little things like the lack of termites. This and other trifling issues of geography is just one of reasons there is not generally a tradition of oak framed buildings in Africa. 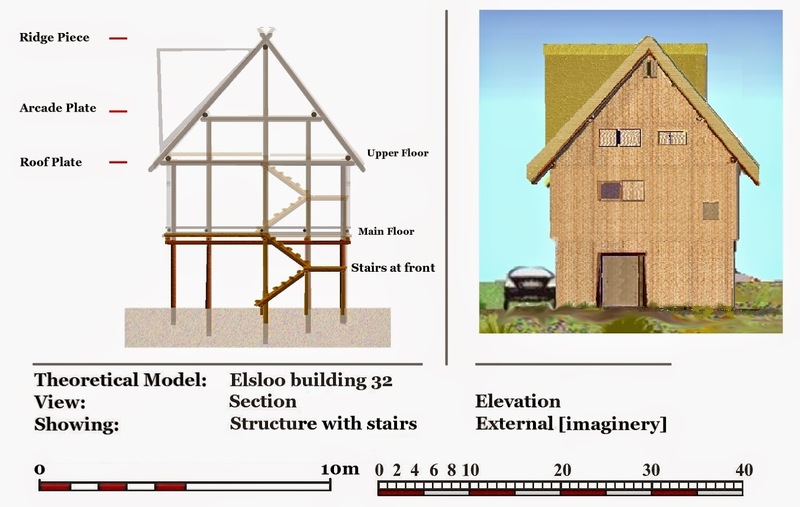 In NW Europe timber buildings and products represent a good long-term investment of resources, and formed the basis of a system of mixed farming in a variable temperate climate. You could argue that the scale and nature of our buildings have reflected the use of oaks up to 50' or even 60', and it is to local trees that we should look for a sense of proportion for our ancient buildings. While it is self-evident that vernacular architecture is a regional craft, representing one of the most obvious visual manifestations of a local culture, archaeologists find this hard to grasp in their imaginings about the past. However, there is more to material culture than farm houses, and in the modern world it is easy to forget that wood was once the raw material for the fabrication for significant amounts of material culture. As new materials have replaced wood, the woodland systems that produced the raw materials along with their craftsmen have also started to vanish from our countryside. I would like to explore this very local relationship between trees and materials culture by looking at two trees with very different but complimentary contributions to make to our largely lost and unrecorded heritage. The mighty oak and its diminutive sidekick hazel are two of the most important building blocks of our traditional material culture, only faint traces of which ever come to the attention of archaeologists. While other woods have specialised utility and products, , almost an entire material culture can be fabricated from these two trees using simple tools. 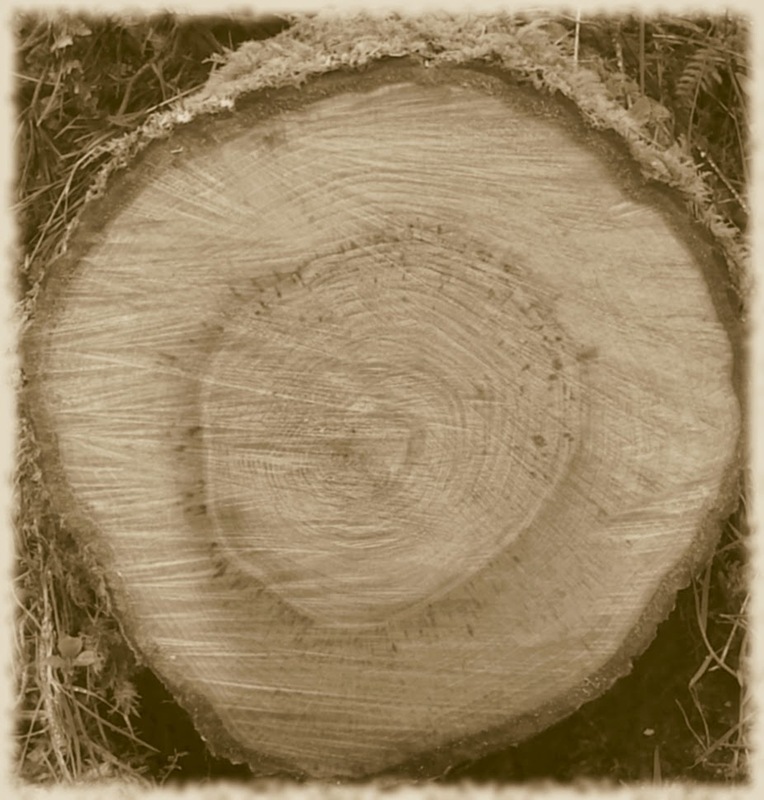 In a study of the ancient economy timber resources are easily overlooked; it is only when they run short, and this starts to impact on the archaeological culture, that this becomes apparent; domestic building in stone was only found in those areas without sufficient resources to use wood, such as Neolithic Orkneys. As a general rule, trees are farmed, grown in woodland to provide the types of product required locally where and when they are needed . There is plenty of evidence from waterlogged sites that this was the case, and the uniformity of postholes in prehistoric structures also bears this out. This is an important aspect of the Neolithic culture, for while the natural forests may be full of trees, finding ones of a suitable species and size, together with the problems of transporting them, makes growing your own the only practical solution. This minimises the problem of extraction, although, once you cut the branches off, quite large timbers can be dragged or sledded by oxen or horses, and presumably people. 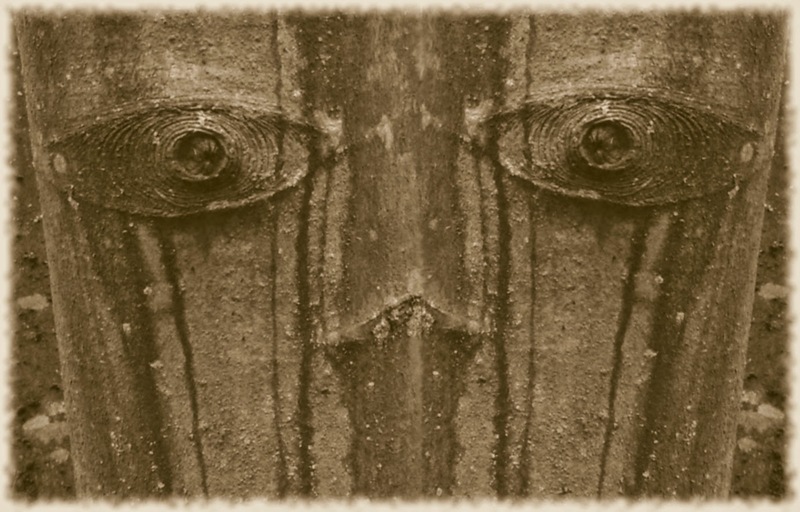 While a virtuous and ideal management cycle would be desirable, significant areas of the environment were deforested during the past; it is doubtful that the Roman Army had concern for woodland management, on the contrary destroying timber resources is a legitimate form of economic warfare. 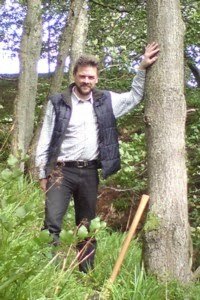 In a fairly standard woodland system two types of tree such as oak and hazel are grown together, the taller oak trees are the main crop with the smaller shrubbier hazel grown the spaces between and below,. 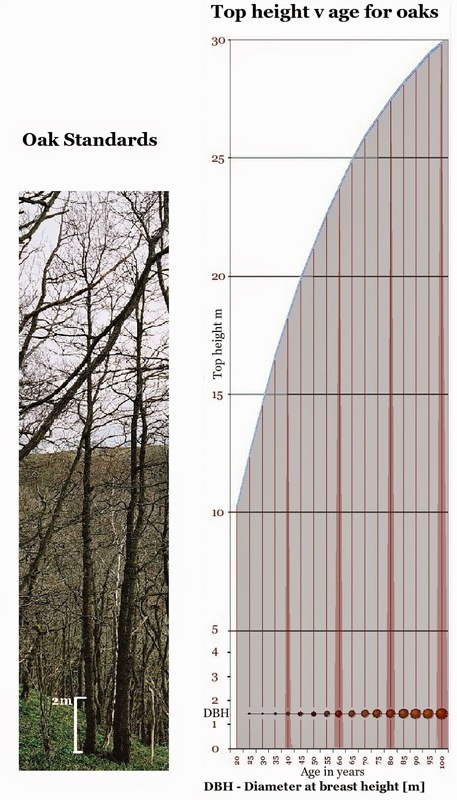 The natural light competition drives the trees upwards, keeping them close and the presence of the smaller, but vigorous hazel also discourages side branches, filling any spaces between the oak standards. As the trees mature over decades they are thinned with the smaller and substandard trees removed. 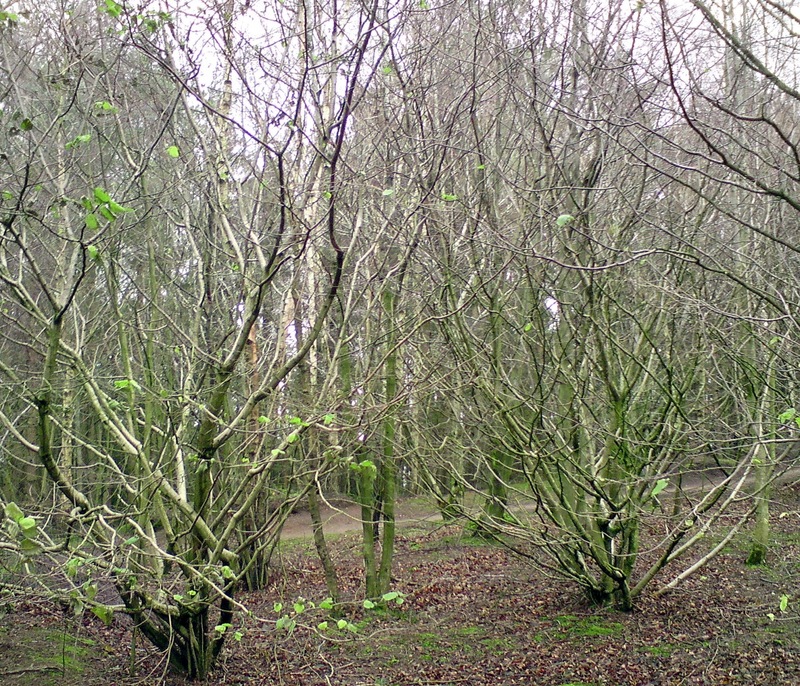 Both Oak and hazel can be coppiced to produce multiple stems on the same root system, and this is normal practice with the latter [above left, and right] . In complete contrast to modern monoculture systems, a well-managed traditional woodland, would contain a mix of species and ages with the aim of continuous production of a variety of products. 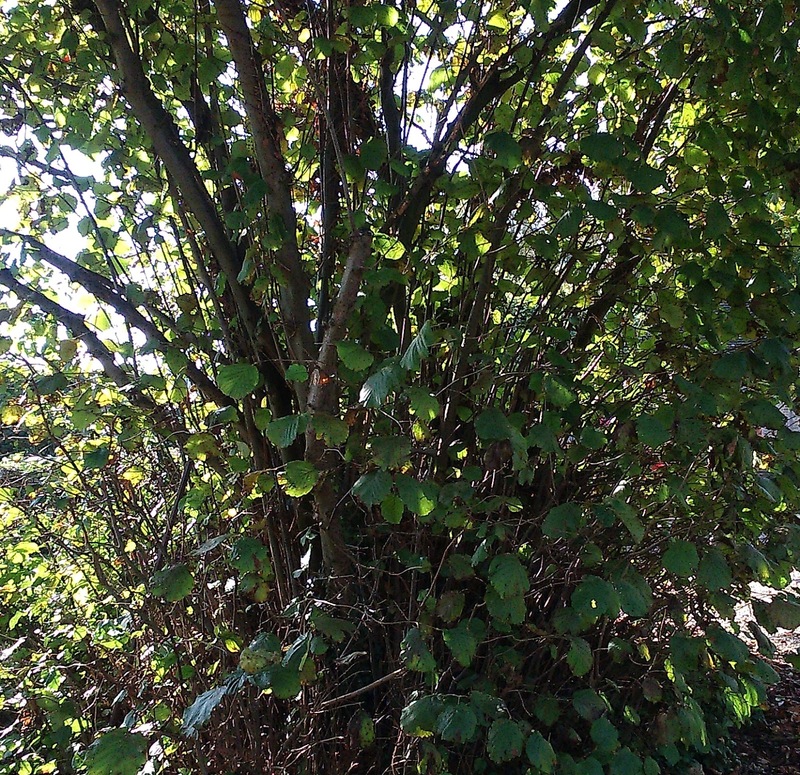 If your requirement is 7 years old hazel stems, you might have 7 blocks or groups of trees, each a year older in the cycle; it might be convenient to attend to the larger oak trees in an area on a similar rotation. 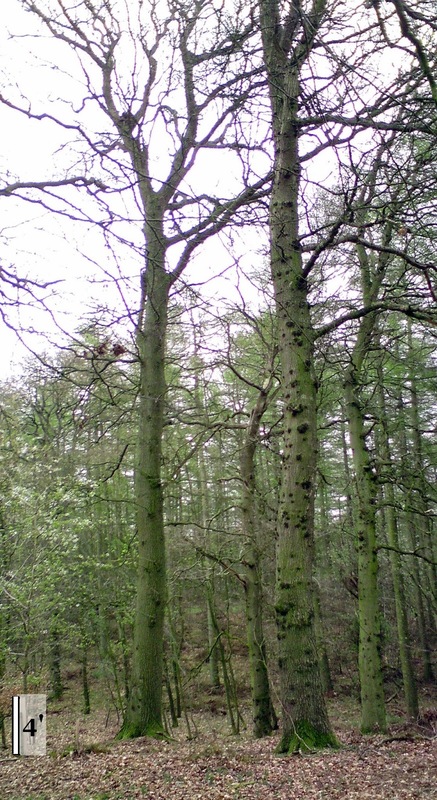 What is neat about woodland management is that forward planning over decades can provide a just in the nick of time system; timber buildings wear out and need replacing on a regular basis, even if that might be measured in centuries, whereas some domestic wooden items might be replaced annually. Archaeology, as a study of human culture, is restricted to those artefacts that survive in the soil, which can result in a distinctly myopic view, and, as noted, beyond simple tillage, very little daily activity involves digging holes in the ground. The differentiation of the past into stone, iron and bronze ages tends to obscure the continuity in the use of wood as the raw material for the fabrication of much of material culture. Perhaps the significance of these changes in terms of woodworking tools, might only be judged in terms of their effects on the nature of their now invisible timber products. 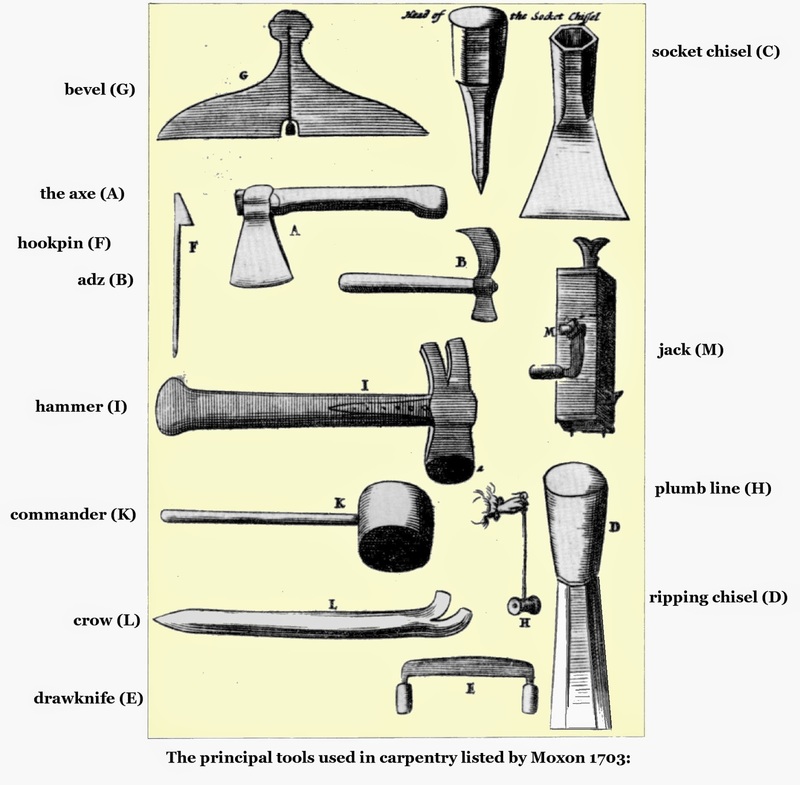 Thus, handsome though some stone tools are, they are probably not as interesting or significant as the products they created; Chippendale’s tools would not be as impressive as his chairs.[above]. 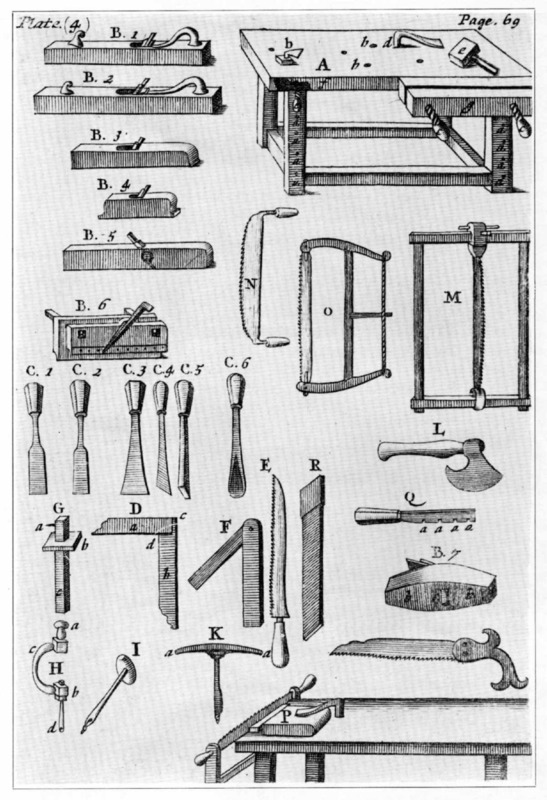 In this post I have include links to videos which demonstrates the making of simple timber products; this is best way of illustrating how the properties of these woods suits them for the types products that they traditionally produced, and how a craftsman works with them; [as usual, there is a whole world of traditional woodworking videos to explore on line]. The long-term end product, the main crop of this woodland system was tall, preferably straight oak trees, the best of which were for structural use. Everywhere we now use steel and concrete beams, or for that matter soft wood components, oak would be used, given the choice. Oak is relatively easy to work when freshly cut, but dries out over the years to become a very hard wood. Most of what survives from the medieval period in terms of buildings and their contents is oak, reflecting its preferential use or survival, and why it was used. There are few better structural timbers than English oak, importantly, larger logs can be simply split down the grain using wedges, providing squared beams for construction, boards for floors, and shingles for roofs. Larger split panels can be used for doors, fittings, and decoration such as panelling. Splitting Oak at Beamish Museum Here. Traditional carpentry uses simple joints made by shaping the end of one of a piece into a tenon, then inserted into a corresponding mortise hole cut with a chisel; these are the important bits, how the rest of the component is finished is an issue of resources. Wooden pegs or tree-nails made of oak or similar are inserted into drilled holes help secure joints and hold components together, negating the need for metal fixings. One simple form of roof known as a cruck, it involves splitting a bent tree [right] in half and using the two halfs to create a structure like an arch around which the roof is based; larger trunks can be split into several symmetrical pieces. This is a type of roof that might be represented archaeologically by a pair of postholes, which is a sobering thought, and perhaps explains why the origin of this type of structure remains obscure. 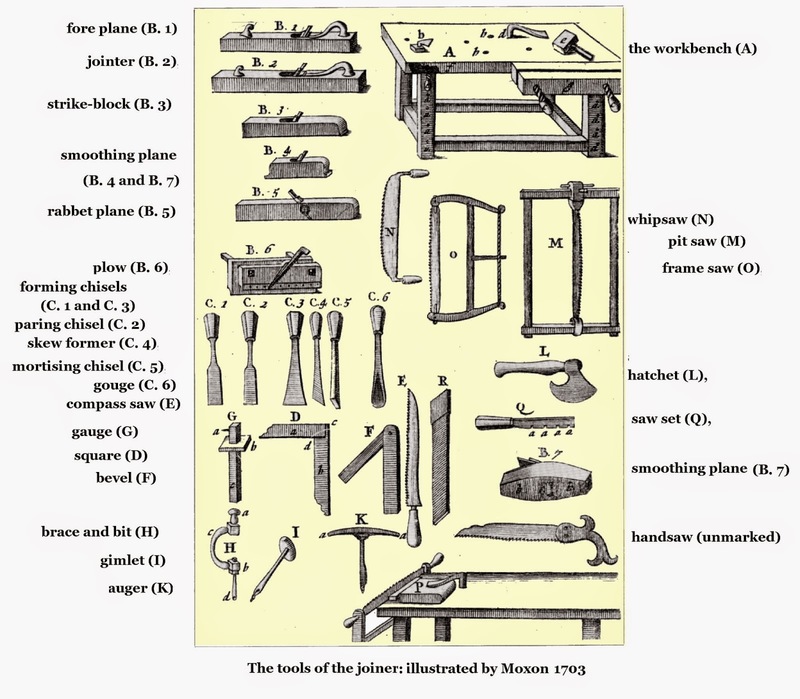 Note the difference between carpentry tools used for putting together buildings, [below] which differ in scale, range, and refinement from those of a joiner, who might make the fixtures and fittings. 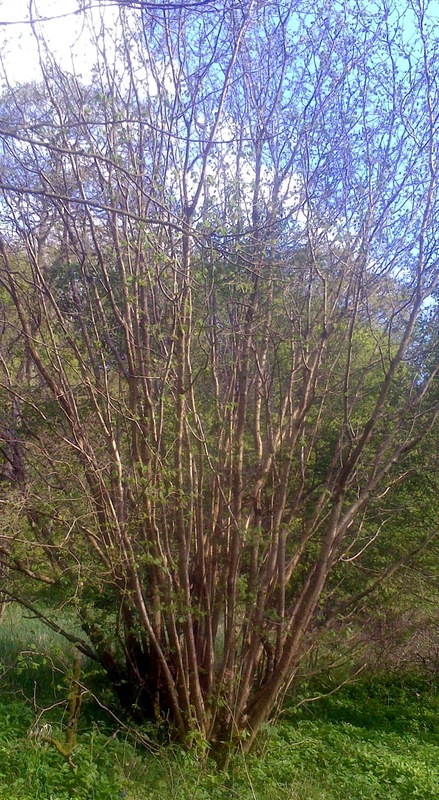 In contrast, hazel is a light and very flexible wood, which will produce multiple long stems when coppiced , their size depending on the period of time between cropping. These can be used whole or spilt, often multiple times to produce increasingly flexible slivers of wood. It provides the wattle panels around which the daub was formed, for both external walls and internal partitions, [woven split oak is also known]. A traditional thatched roof was held together with hazel spars, runners, and pegs. If you are not sure about spars - making spars here. Inside the home, oak is tough durable and looks good, so it is used for furniture making, tables, seating, and storage like chests. It can be cleaved, carved, and turned into utensils, bowls, platters and other types of table wares. It can be shaped into staves for barrels, and be split into thin strips and woven to make containers like spale baskets of interwoven oak lathes or spelks; such containers were also known as slops, swills, and whiskets . For hazel, its principle utility is its flexibility, it can be woven into wickerwork containers and bent using heat or steam into hoops to strengthen other containers . Almost everything that had to be stored or transported might use barrels or baskets. Hazel nuts, cobnut or filbert nuts, [depending on species], are an ancient staple of our diet, but preferably not the acorns produced by mature oak trees which were forage for pigs; their high tannin concentrations make them very bitter. However, this property of the wood might enhance certain products stored in oak, or contribute to food smoked with it. The durability of the wood for use outside also comes from its high tannic acid content, and its bark, always available as a by-product, was used in tanning leather. Oak posts with rails might be used for a fences and gates; it can be used to line wells, tanks, pits, and for pit props; hazel wickerwork can also be used to stabilise holes like cesspits made in soft ground. Hazel rods had numerous uses; such as angling , making lobster pots, fish and eel traps, , they are ideal in horticulture for building frameworks and for plant support. Hurdles, wattle panels made from hazel were a cheap to produce, light, but effective way of creating temporary fences, pens and enclosures particularly for flocks of sheep. Another utility of hazel is that it can be split down into small but very flexible strips for binding [string]. Both species are common in hedgerows, in addition, large trees like oaks are excellent long term boundary markers and landmarks. Growing and planting such trees is simple, as they can be grown in baskets until suitably mature. That our antecedents might have dug holes to plant trees is not always uppermost in archaeologists’ minds. Since the Neolithic both oak and hazel have been used to build pathways, tracks, and later roads which have been preserved in waterlogged ground. Oak is a good timber for bridges, wharfs and docks; it is ideal for military engineering like ramparts, gates and towers, while hazel wickerwork can produce battlements or mantlets. In transportation, wagons, carts and chariots might use oak in particular components like wheels for strength, and hazel where lightness or flexibility is required. Similarly, oak was the favoured material for framed boats, either planked or skin covered like the currach, while hazel could be used in the construction of smaller craft like coracles,. The ancient world was powered by wood, it provided the fuel for heating, cooking, and industrial processes, both hazel and oak are excellent for firewood; both make good charcoal an essential ingredient in the smelting and working of metals. In mines fire was used to heat rock which was then cooled rapidly with water to crack it. Wooden wedges can be driven into cracks in rocks, which when soaked in water expand causing a crack to open. As a footnote to the litany of utility, some of the extraordinary Roman correspondence found locally at Vindolanda was written on slivers of oak, providing an unexpected and colourful insight into an aspect of culture which until 1973 had only existed in theory. While the contrasting properties of these two trees have served to illustrate the range of uses for wood, other common trees such as ash, willow, yew, box, and beech produced timbers with specific uses, whose utility would be equally worthy of detailed discussion. Hazel rods are used for dowsing, wands can symbolise wisdom, power, misdirection, and magic, which is difficult to reference and dangerously like New Archaeology, ; luckily, in classical Greco-Roman mythology, the god Hermes/Mercury has a special wand called a caduceus, so we are on safer ground. One further use of hazel rods that might be easily overlooked was as tally sticks; until 1724, and even as late as 1826, information about the fiscal relationship between the state and the individual could be recorded by notches on a hazel rod that was split into 2 halves, each party keeping one half as an official receipt. It was a simple, cheap, fool proof system for a preliterate age, and virtually invisible to archaeology. It was the burning of these now redundant tally sticks in 1834 that caused the fire that destroyed the ancient Palace of Westminster. 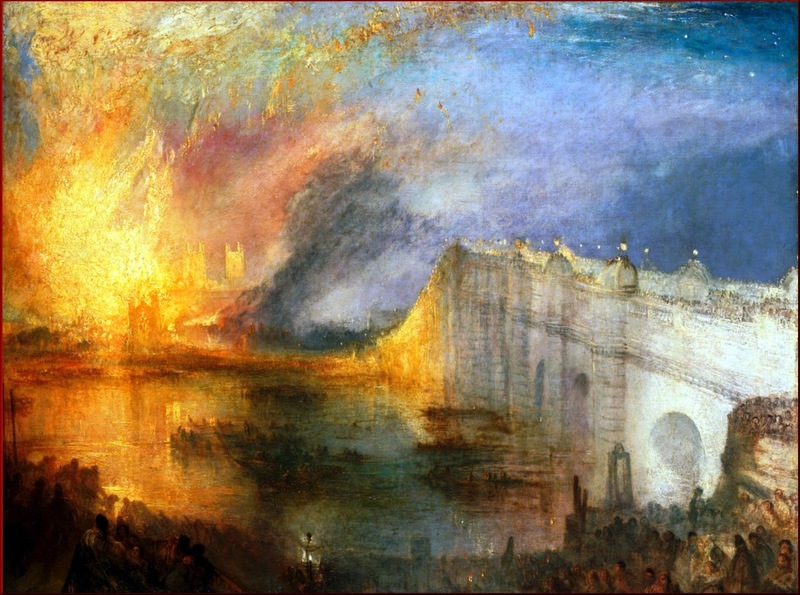 [ above; Turner - The Burning of the Houses of Lords and Commons October 16 1834]. 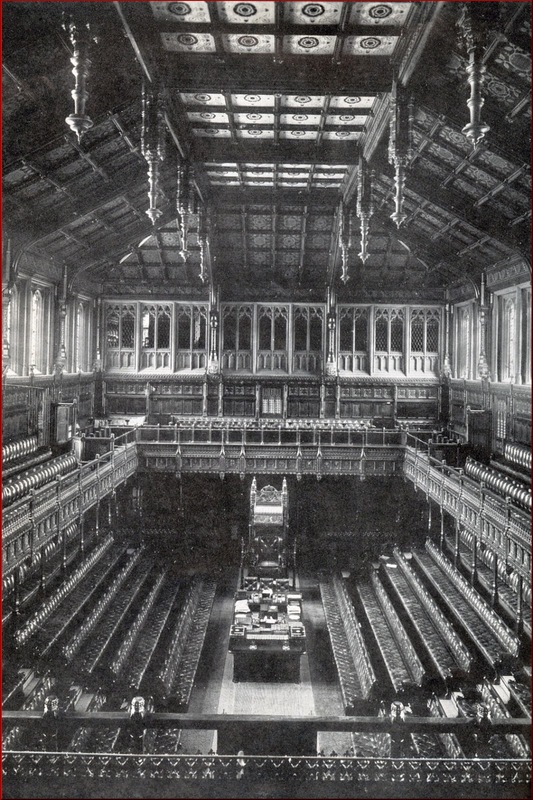 It was rebuilt in the gothic splendour we know today, although we tend to picture the stone exterior rather than the timber interior [right; pre- war]; which I suspect is quite common when envisioning famous buildings. In succeeding where Guy Fawkes failed, the tally sticks demonstrated why so little of the wooden past remains, and why it has been replaced in other materials. 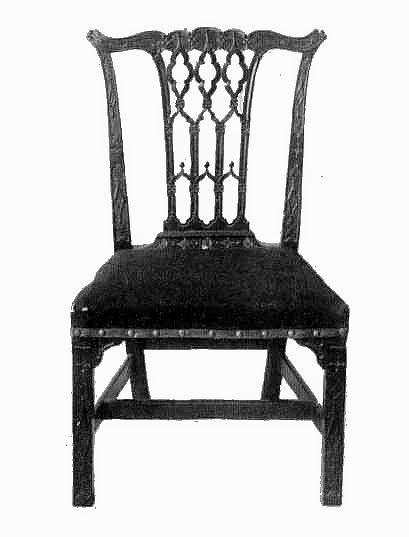 This fine oak chair was carved in 1297 by a craftsman known as Master Walter, it was an expensive piece which cost the king 100 shillings; it is known as the King Edwards Chair. 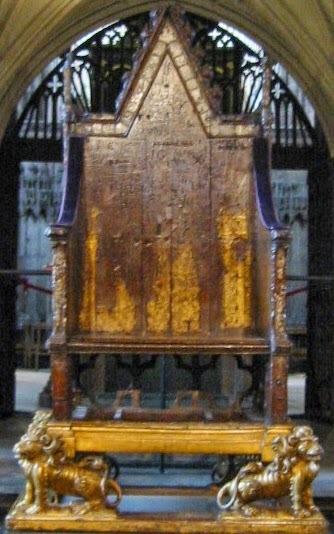 Although it has lost much of its original gilt and paint, got tarted up a bit in later years, it remains the Throne of England on which [almost] every monarch has had to sit at the coronation. This remarkable piece of quasi-magical furniture, was also built to contain the Stone of Destiny previously used to sanctify Scottish kingship. After over seven hundred years old, is still at the centre of the confirmation of power, which explains why it was not thrown away; luckily, it was made of oak. Most of aspects of oak and hazel culture discussed have archaeological examples, but they are exceptionally rare, while soil, or dirt as my colleges might call it, is abundant. What archaeologists find; postholes and stake holes, some pits, trenches, even graves to some extent, are holes in the ground, that have to do with the practical, utilitarian, or engineering use of timber. The further we go back into the past the less reliable the historical record becomes, the details of material and social things have been lost, so we might get the impression of an technological ground zero from which the familiar aspects of life all emerge as “Roman” or “medieval”. Clearly, it only from these periods that images of the past have any empirical basis, so it is largely imagination for the prehistorians. Try telling fellow archaeologists that Pre-Roman buildings had stairs, floors, even doors, [or worst of all windows], and you will get a very odd reaction; challenging peoples imaginary worlds is just that, a challenge. Turf is a mixture of organic and mineral materials; the characteristic “Turf Wall” deposit does not contain the range of mineral particle sizes typical of the local soil, only mostly very fine material, but with charcoal, the traces of fire moss, [Ceratodon purpureus], that grows on dead wood, and pollen samples that are dominated by trees; therefore it could not derive from turf; however, the evidence is consistent with it being the remains of a timber fortification; [QED, etc. here]. It is a very simple and basic observation, which despite having science and historical precedence behind it, is unlikely to convince anyone that something called the “Turf” Wall was made of wood; it is not just the pictures on people’s minds, but also the words we use to describe and name things that do the damage. The extent to which thinking or more specifically, interpretation of the evidence and understanding is influenced by this imaginary world is difficult to measure. Even the words like “Prehistoric” seems prejudicial, bending seamlessly into cave men and prehistoric monsters territory. Archaeology is in part a faith based study, with a largely imaginary shared visual culture depicting our past, which I have argued, may serve as block to the understanding of the evidence we find, particularly those ideas and images borrowed from other cultures far away. The distant past to some extent is a blank canvas onto which ideas can be projected, often by those seeking legitimacy and authority in the present. Similarly, aspects of modern archaeology involve the study of what archaeologists don’t find, largely driven by the projection of ideas drawn from contemporary anthropology into the minds of our antecedents, but along with our learning, goes our own ignorance of traditional native culture material culture. As a result, even relatively straightforward timber structures and products are seen as beyond the abilities of prehistoric peoples. The truth in archaeology is often hidden in plain sight – the one place archaeologists may forget to look. "The truth may be out there, but the lies are inside your head." Citing Joseph Moxon, Mechanick Exercises ..., 3rd ed., London, 1703. Library of Congress. Bramwell, M., [ed]. 1982. The international book of wood. London. Rackham, O, 1986. 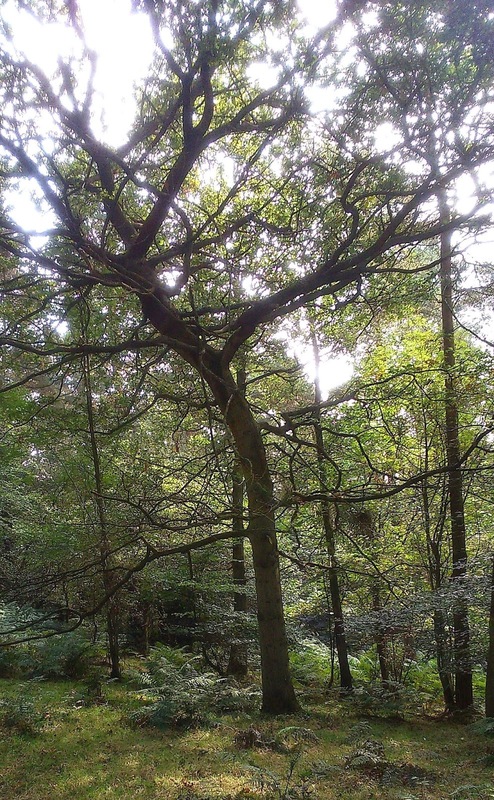 The ancient woodland of England: the woods of south-east Essex. Jenkins J G, 1978, Traditional country craftsmen, Routledge & Kegan Paul. p 110. Very interesting, yes. What about other types of wood? I recall that certain wood that is not oak (birch maybe but my memory fails) is very much used for outdoor furniture because it's very much waterproof. Another question I have is that while you emphasize timber, with good reason, there are also very old traditions in Europe of building with stone and mudbrick. 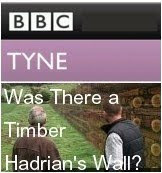 Timber would still be used for pillars but the walls and foundations not. For example I'm used to traditional Basque architecture in which oak is used for pillars and beams but otherwise all is built on stone, at the very least the whole low floor. Roofing was done with ceramic or stone tiles since at least the 1500s (if you go around Newfoundland or Labrador early fishery sites, you'll find lots of ceramic tile remnants all around which Basques shipped from Europe in the thousands). In recent pre-industrial contexts we see a clear cut division between Southern European tendency to build on stone or mudbrick and a Northern one that favors timber. Some of that may well be very old - you mention Orkney buildings but there's a whole stone architecture tradition with a Western tendency, called Megalithism, and a wood one with a more Eastern tendency also in the Chalcolithic - although it seems to affect monuments rather than homes. From my ethno-cultural viewpoint building with timber is strange and prone to unnecessary risks such as the massive fires that ravaged many North European cities in history. In regions like the Netherlands it would seem necessary for lack of other materials but why in mountainous Norway for example? Obviously it's a cultural thing. So I'd say I disagree when you argue that people build with wood when there are no other materials, intuitively I'd say that people build with stone (wood for pillars, beams and accessories only) unless there are no other materials. I don't mean to be right but rather provoke your cultural bias by means of contradiction. For all I know the main material used in house construction in Neolithic Europe (north or south equally) was mudbrick in fact or similar mud-based fillings/covering of wooden structures. Of course timber was still critical in the structure. Thanks for the comment, you make some interesting points, most of which I think I have got covered…. I was careful to talk about NW Europe and in particularly Britain, and to emphasise local traditions. Certain topography is better suited to woodlands, but reclaimed or intensively farmed land may have no timber resources. Each region has its own relationship of this type, it might be harmonious or abusive, and is conditioned by local factors; if you have termites/white ants you might wish to use mud brick and stone and keep timber away from the ground. Local issues environmental issues, clearance, fires, and the presence of sheep or goats may create shortages of timber. As I have discussed in a previous post, historically, Scotland became short of wood, and was heavily dependent on imports from the Baltic. Medieval English bowmen were dependent on the mandated import in Spanish / Portuguese Yew imported as part of the wine trade. In the use of stone for domestic building, there are two important criteria – suitable stone and a need; without a method of sticking it together stone is a bit cumbersome. You have to use wood for the roof and any floors. We should differentiate Megalithic and monumental structures; houses for the dead were built to last, and are different from those of the living. From the advent of arsenical bronze working with stone more generally became practical, piling it up as blocks or digging into it; in the Iron age it becomes easier to shape and can be coursed. I excavated some of the first [Roman] concrete footings ever laid in this country, but like most Roman building in this country it was a timber building. Stone is all very fine, if you don’t mind living in house with very thick walls. While for the occupants, walls and the spaces they define are important, for the builder it is the structure that supports the roof that is the concern, but also for the archaeologist since it is the postholes from the building, not its mud from the walls that survives. I may not have explained well enough: here in (much of) the Basque Country we have the same kind of vegetation you are describing and very abundantly so (at least in the areas untouched by timber plantation industry): oak and hazel and many others: it's the same Atlantic climate, just that somewhat milder because of latitude (it can also be wetter though because it's very exposed to Atlantic winds, my Londoner roommate always complains of the rain. The ecology is the same but the building tradition is different, even if both share the use of oak as skeleton element (pillars and beams), all the rest is different, not sure exactly why. Also mudbrick was used in parts of Germany until rather recently and has been again put in production under ecologist drive because it seems to be excellent for isolation. Mudbrick has roots in Starcevo and Danubian Neolithic (further south, in Greece, stone foundations were common instead, although its possible that second floors were made of lighter materials). My knowledge of prehistorical construction techniques is a bit patchy so I don't want to jump to conclusions but my impression is that wooden houses are from a period after the Neolithic, at least in much of Central Europe and other areas, when mudbrick was used instead. My suspicion is that fully wooden constructions come from areas where there was no Danubian tradition (hence they did not use mudbrick) and no abundance of stone, for example the Baltic basin. But just a guess. In any case I would not just assume that because today fully wooden construction in some area is common it was always that way. "... without a method of sticking it together stone is a bit cumbersome". Traditional poor constructions used mud for the joints - even when the mud dries out, the wall stays in place (don't ask me how, I'm no expert: I have just seen that when helping friends reform their rural homes and helped fill the holes with modern concrete plaster to reinforce the structure). Wealthier ones would use some form of concrete which is known since at least Roman times, but previously there was a long tradition of stone construction anyhow: dolmens, standing stones (sometimes very complex, as in Stonehenge, which has tenison and mortar joints to keep the lintels in place) and very interestingly the so-called tholoi or beehive tombs, whose "dry" stone construction method was also used for impressive fortresses, parts of which still survive. I agree there is a cultural input, so while we share many aspects of environment there are clearly differences; I would suggest that architecture is down to individual craftsman with a regional practice, this in itself is a factor. As for the bigger picture; I agree something different is happening in Iberia from the Danube and Rhine - which I see as primarily timber, or at least the bits I study. Are the stone structures typical of the EBA in Iberia copies of timber structures? I know better about the Neolithic and for what I know, as I said before, stone foundations were early on typical of Greece, while wood pillars are of the continental areas around the Danube. Mudbrick or similar mud-and-straw construction is interpreted for all them anyhow. Cardial (Mediterranean) Neolithic largely used caves initially. In Iberia stone constructions appear first with dolmens (earliest of all in SW Iberia) but more developed with fortifications and tholoi already in the Chalcolithic, which follow relatively "modern" or "advanced" designs of dry stone construction. Otherwise I'd think of mud-based homes, which in some areas have been used until very recent times. Leichtlehm (literally "light-loam") is a German technique of coating loose straw with a clay slip and tamping it into forms as an infill for timber-frame structures. Exactly as Neolithic Danubians apparently did (some of the neatest evidence is in Cucuteni-Tripolje sites, whose houses were burned in mass fires, who some argue were ritual but could be either destructive or maybe even a way of make them pottery-like, as the result was glazing them). So what I'm in general saying is that just because you have a timber structure, you don't have a timber building necessarily, but you can have mudbrick buildings, stone buildings, timber buildings, more modernly true glazed brick buildings too, or even something hybrid. Timber was used before modern times for the structure (and accessories like doors, floors, stairs, etc.) almost invariably but walls, roofing, etc. were made of various materials, in what seems a complex evolution. It is difficult to study what we don't find, and mud brick construction is one of those thing that don't survive well in damp soils. We also have a tradition in some areas, very difficult for the archaeologist. In a previous post I have discussed invisible walls, and the distinction between load and non load bearing walls. I am old fashioned and see expansion from the Fertile Crescent, and the river valleys are short of timber, so mud brick was important [ and it fostered the need for trade/conquest]. But by the time we get to the LBK in the NW we have timber architecture with postholes, which can be studied. One of the reasons I stay away from the "pictures" is that I can only really model the timber structure, the fabric, as you say, could be mud.